Welcome to Macro Flowers Saturday, dear friend! We are all a little bit tired on the last workday of the week, that's why weekend was invented, isn't that so? I've moved this blog to custom domain this week. All existing links are redirected by the "Giant", so you have nothing to change in your past posts. If you have one of my buttons in your sidebar, I would appreciate if you would upload a new copy with the new URL. You can do it easily with my "Add to sidebar" button. Now let's make our weekend recovery more pleasant by sharing some cheerful flower photos. 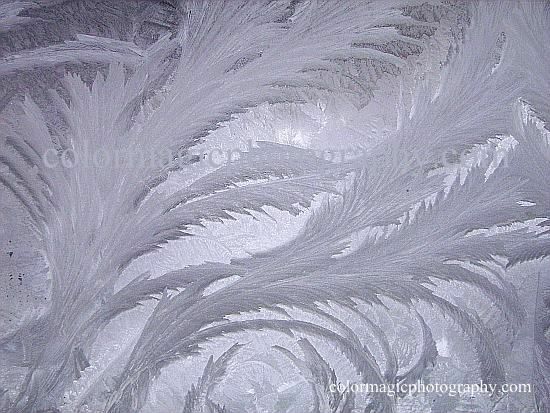 I have some special flowers today, just took these photos of beautiful, lacy frost crystals. Some of these hoar-frost crystals look like feathery leaves or aquatic plants. 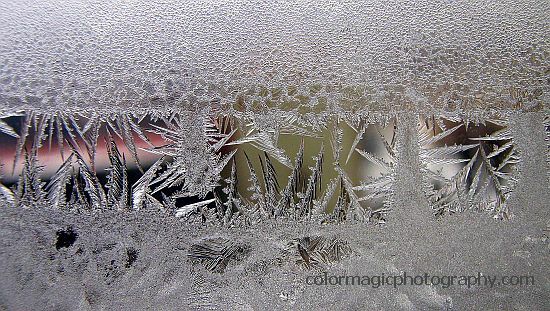 Other ice crystal formations are like handmade lace borders. Wow, gorgeous shots, love them! 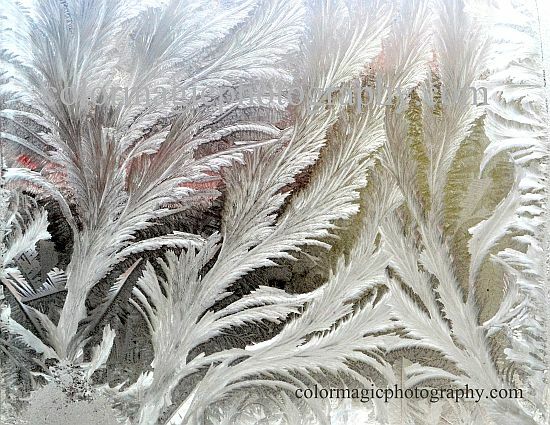 Hi Maia, I think these are the most beautiful frost photos I've ever seen. And I agree with Giga that the captcha thing gets really old. I have a system that if you've posted before, there is no captcha; they are only for new visitor/commentors. You might try something like that. We don't have snow so these images delight me, Maia! What amazing natural art! Maia, I love your shots of the ice crystals. This has been such a mild winter the only hoar frost we had didn't stay around long. Fantastic ice flowers. Gorgeous ! these frost patterns are magical. amazing! Many thanks for your lovely comments, I love comments too. However, the repeated remarks concerning the word verification are typical, beginner blogger behavior. Btw. comments are not mandatory, by no means would I expect anyone loosing precious time by leaving a comment. Are still still posting any flowers, or just wild flowers? You can post post all kind of flowers,I just gave an example with these "iceflowers". You can post anything plant related like leaves, branches, seeds, fruits and even vegetables in an artistic composition. They are so beautiful. I haven't seen like that here. I hope someday. Lindas fotos! É maravilhoso ver o que cristais de gelo podem formar naturalmente, e você registrou tão realmente. Eu não entendi muito bem o que eu tenho que fazer para colocar minha página. Tentei várias vezes e não consegui. Obrigada Maya! Vou tentar mudar o link!